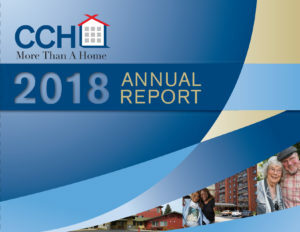 The 2018 Annual Report, which focuses on CCH’s achievements over nearly six decades and highlights our progress through partnerships, is now available. We invite you to take a peek at our flipbook version of the report. To receive a hard your copy of the 2018 Annual Report, email Marketing Director Iris Murillo at imurillo@cchnc.org. Enable CCH to build More Than a Home for a growing population of seniors. Copyright © Christian Church Homes.